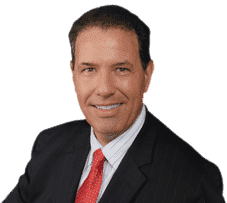 A Weston Personal Injury Attorney who will fight hard for your legal rights and provide you with the emotional support you need is Robert E. Gluck. He will make certain you are always treated with the respect you deserve and that you are never taken advantage of. Your case will get undivided attention at all times. Robert E. Gluck will be at your side from the first day until your case is fully closed. You will be very pleased with Robert E. Gluck, he is a compassionate attorney who truly cares for his clients. Your Weston Personal Injury Attorney Robert E. Gluck will have to prove negligence before he can fully pursue your case. Negligence happens when a prudent person does not use reasonable care and it results in injuries. If negligence is found, the guilty party will be held accountable for your medical bills. Injuries can happen anywhere and can be a result of any kind of situation from automobile accidents to slip and fall accidents. Your attorney Robert E. Gluck will see to it that you are treated fairly and he will try to get you a high settlement for your injuries. Your Weston Personal Injury Attorney will make a huge difference in how your case ends. The chances of receiving a settlement are much higher when you are represented by an attorney, this is verified through many studies. Negligence can happen when someone is testing or talking on the phone while driving, or when someone else a malfunctioning product that causes you injuries, and even leaving behind a wet surface that you can slip on. There are many instances, so your accident may fall under any of these situations. Contact Robert E. Gluck today to get started, the sooner you do the better for your case! Your Weston Personal Injury Attorney Robert E. Gluck will look for witnesses and he will write down their witness statements. He will look for damage done to the property, take pictures of the accident scene and secure video footage he finds. Robert E. Gluck will collect all of the evidence he can find and use it to make you a strong case. Robert E. Gluck will be at your side, every step of the way. You will feel much more confident with him in your life. Schedule a free consultation with Robert E. Gluck today!